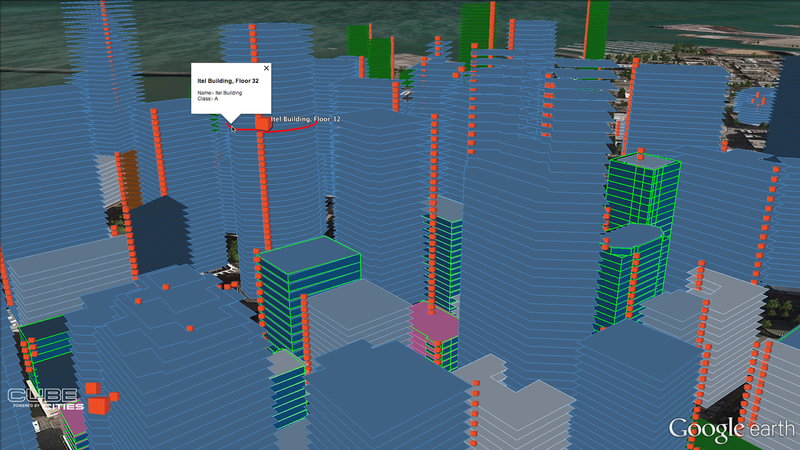 The Cube Cities platform allows customers to create and style 3D maps of dense urban areas using their own building data to produce effective communication tools for real estate. 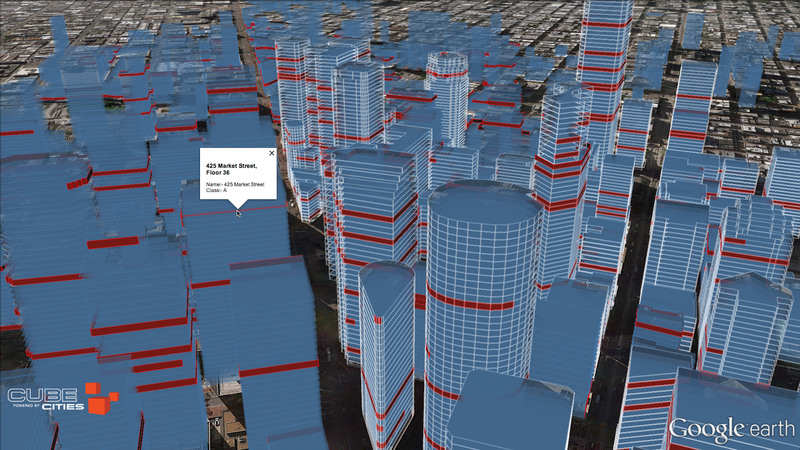 Our large dataset of building coordinates for over 25 cities in North America and Europe can be styled to help customers find specific data in dense urban areas like San Francisco, Chicago and New York. 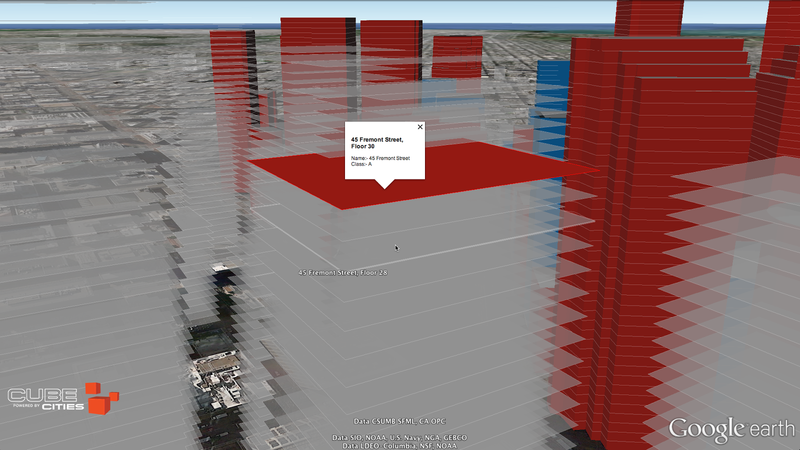 It's easy to load and explore real estate data in these Cube Cities applications by simply dragging a Excel file into Google Earth. 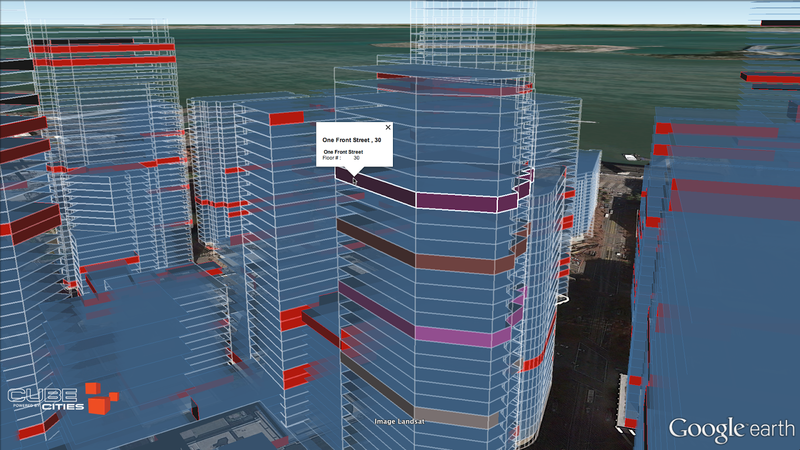 The examples below illustrate some different styling options for visualizing building and floor data in San Francisco's Market Street corridor and surrounding financial district.